As a preventive maintenance manufacturer of HVAC products, we continually preach to our customers the importance of having maintenance done regularly. But, let’s switch gears for a moment! What would be the results of neglecting this maintenance? 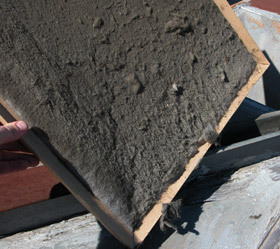 A dirty air filter can cause all sort of problems in the system’s performance. A dirty air filter decreases the power the engine needs to run efficiently. If left neglected, the dirty air filter will began to leak dust and sand into your engine causing bad seals, oil leaks, and oil burning. If you were to go for a run, with your hand over your mouth and with your nose pinched shut, how far would you go? Engines need air too. 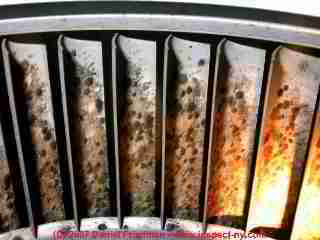 Just like with a dirty air filter, dirty coils can be devastating to your system as well. 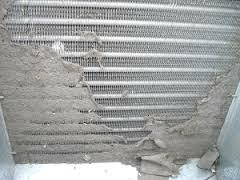 With dirty coils left unmaintained, they are unable to provide proper heat transfer. Ultimately, causing your a/c unit to use more energy. More energy means higher utility costs. Negative effects on indoor air quality is a result as well. As the coil stays moistened with condensation – germs and bacteria are born, which are then released into the air you are breathing. The aluminum fins of the coil makes it easy for dirt, dust, and debris to stick causing blockages and in return affecting the overall performance and efficiency of your A/C. Typically, a AC blower is protected by the filter. An AC system circulates air through the building duct work via blower fan. If not maintained, the blower fans can get clogged down by dirt, leaks, and even rodents. 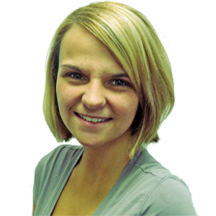 These issues cause horrible air quality and health concerns in buildings. Money talks LOUDLY when you get into replacing these parts of your system. While, a new filter is a small price to pay to keep your HVAC system maintained at only 10 dollars each, a blower or coil replacement can be a bit pricey. On average a person would pay $475-$675 in purchasing a new ac blower and could spend anywhere from $1300 to $1500 on a coil replacement. These reasons and among others are why we stress the importance of preventive maintenance. Save yourself the time, money, health, and a lot of headache. Maintain your equipment!